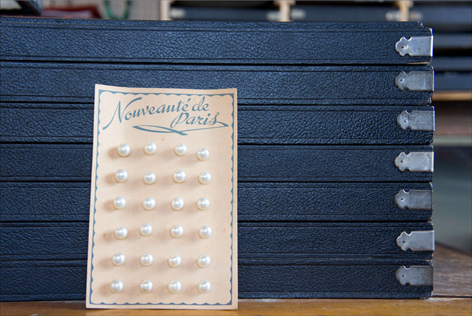 For more than 50 years, the Rousselet workshops have been making imitation enamel and lustrous artificial pearls, which have built the company’s reputation. 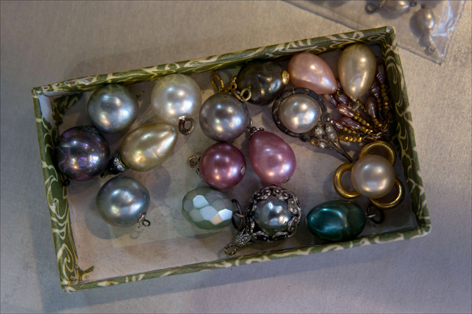 The handiwork of the Parisian jewelry makers guarantee the perfect confection, always unique and delicately made, going from large and eccentric designs to tiny pearls (sometimes less than a millimetre in size). 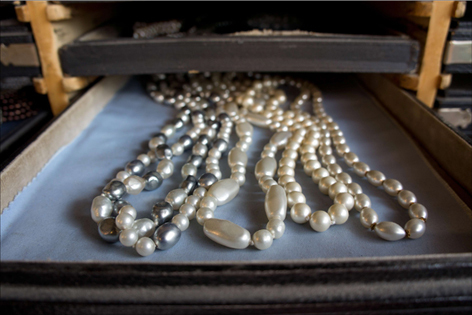 Like in Venise, glass was worked on directly on the fire on a brass rod that, as soon as the form of the bead was made, was dissolved in acid, clearing the holes. 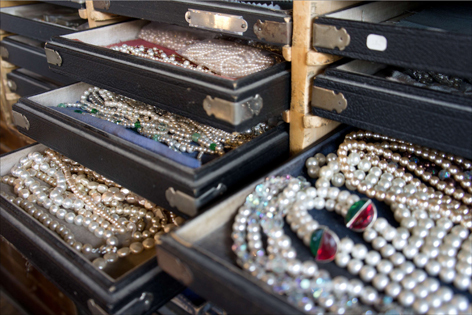 Many fashion houses used to come and get supplies, used for embroidery on their clothing designs. 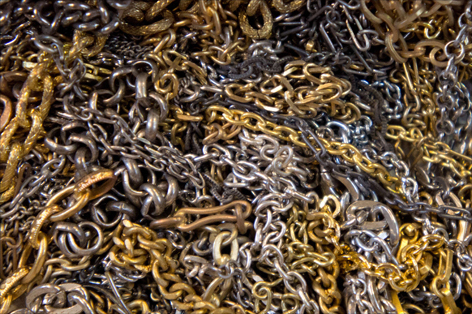 Chains and jewelry elements were also produced made in the Rousselet factory outside Paris. 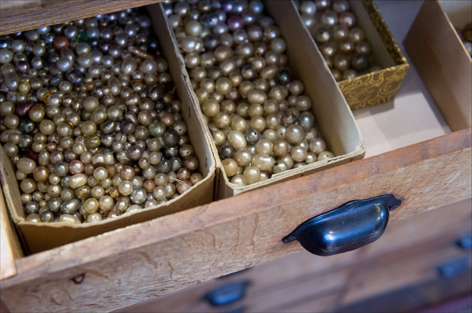 We still have a small stock of antique beads and coloured enamel pieces, pearls and polished crystals, galalithe beads as well as all sort of metal (silver and gold) elements. 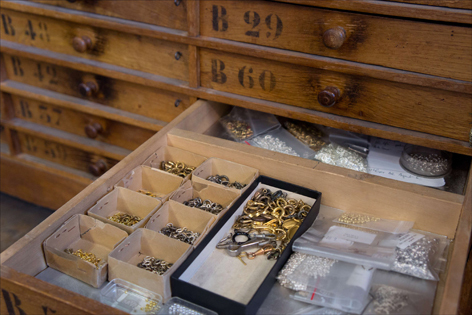 Also, filigree pieces, rings, fastenings, chainmail pieces, and more, which allow us to create some unique items and small collections, as well as reparation of antique jewelry.